Blowfish Studios has announced that the action strategy game Siegecraft Commander is now available for Nintendo Switch via the Nintendo eShop for $19.99 / €19.99. Lead an army onto the battlefield and construct a network of offensive and defensive structures to protect troops, strengthen positions, and topple enemy defenses. Deploy buildings by catapulting them across the warzone and thereby expanding a web of interconnected towers, each linked back to the spire that launched it, and, ultimately, the central base. Winning a battle in Siegecraft Commander requires tactics, knowledge of the land, and careful aiming. If a tower is destroyed, anything that structure created will crumble as well. Well-placed shots can cause domino-like effects where large swathes of fortifications fall. Catapults can launch new structures, explosives, and even cows to disrupt the enemy. 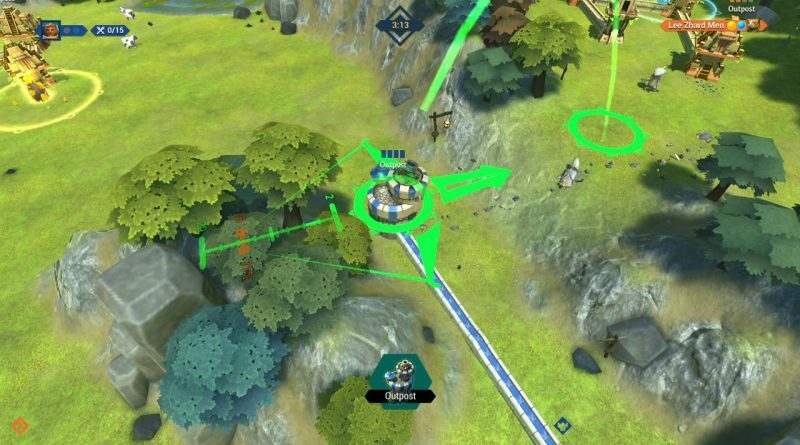 Deploy and command troops while utilizing smart positioning to buff towers’ abilities. Siegecraft Commander includes two single-player campaigns, starring a defensive-minded treasure-seeking band of knights as well as the offense-focused Lizardmen, both presented in storybook fashion. Online multiplayer and local spit-screen matches are also available and support up to four players with options for both turn-based and action-packed real-time battles. Siegecraft Commander also features cross-platform play with the previously-released Xbox One, and PC / Mac (Steam, Steam VR, and Win10) versions of the game.